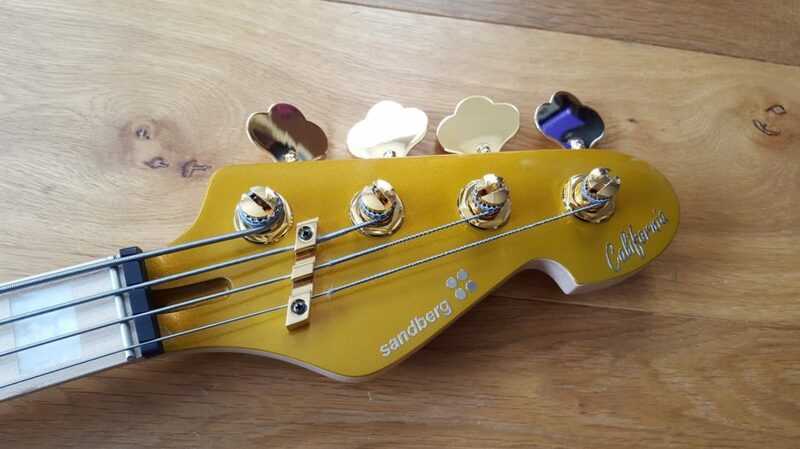 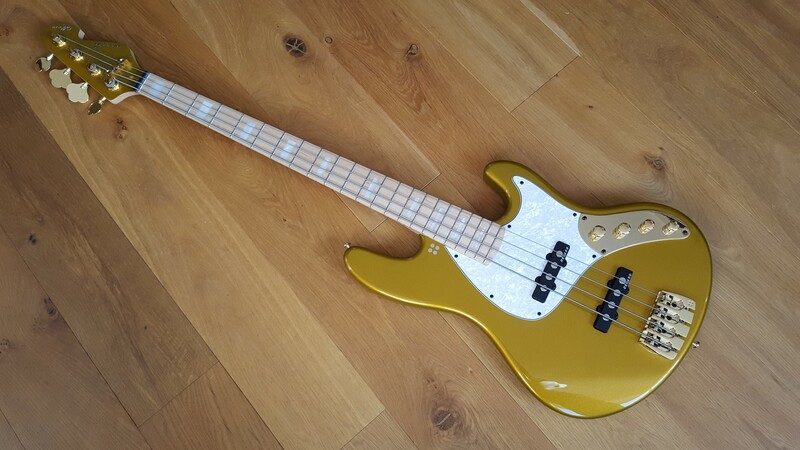 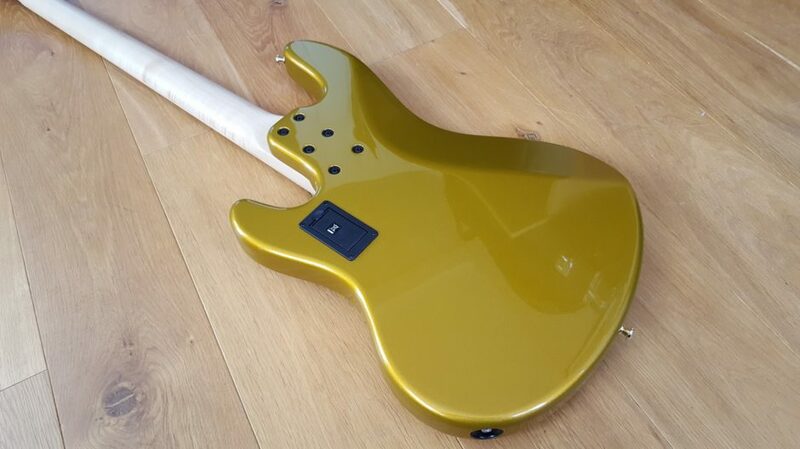 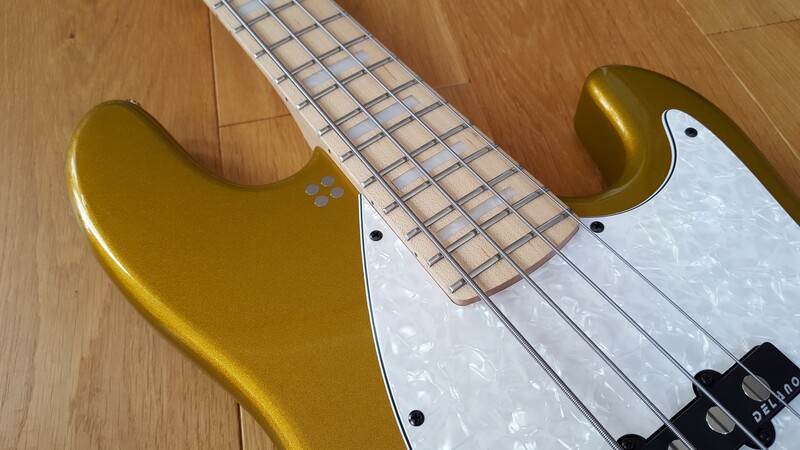 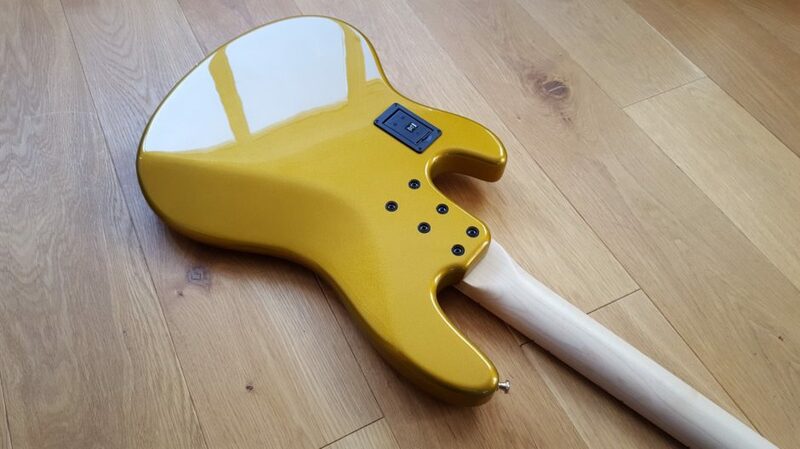 This is a very lightly used Sandberg California II TT4 in Gold, with Gold hardware, matching headstock, maple neck and white blocks. 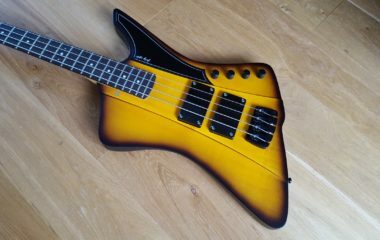 I’ve just bought it back and it’s in mint condition. 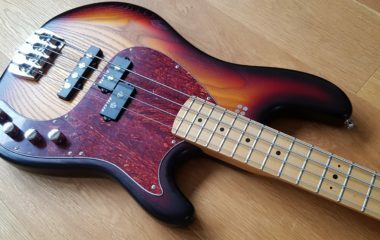 “Stunning” is probably an over-used word when it comes to describing instruments, and I’ve been guilty of using it myself, but I think that for this bass it should be allowed! 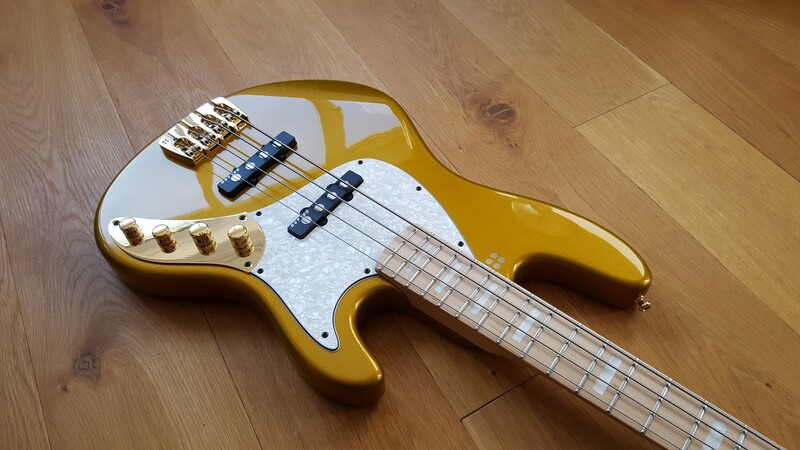 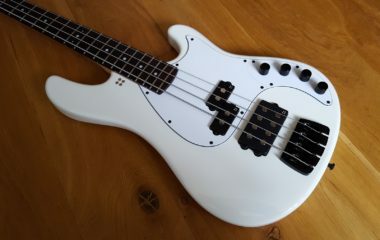 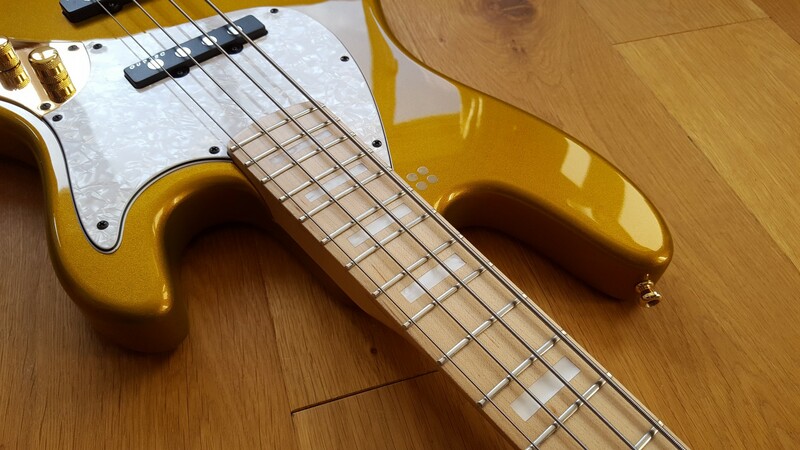 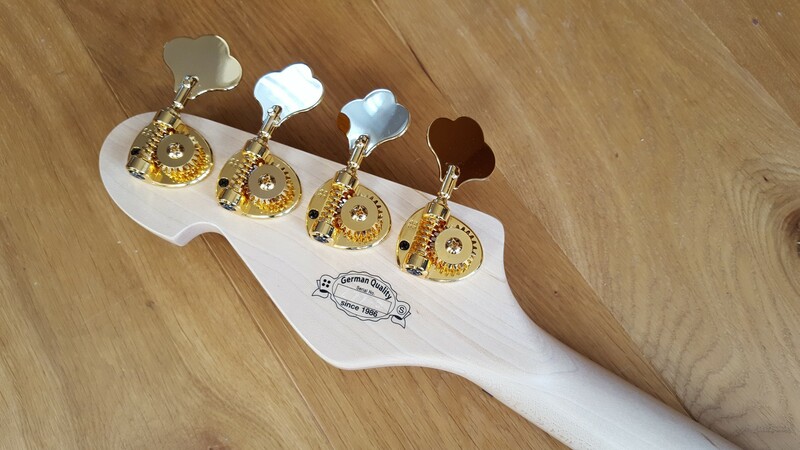 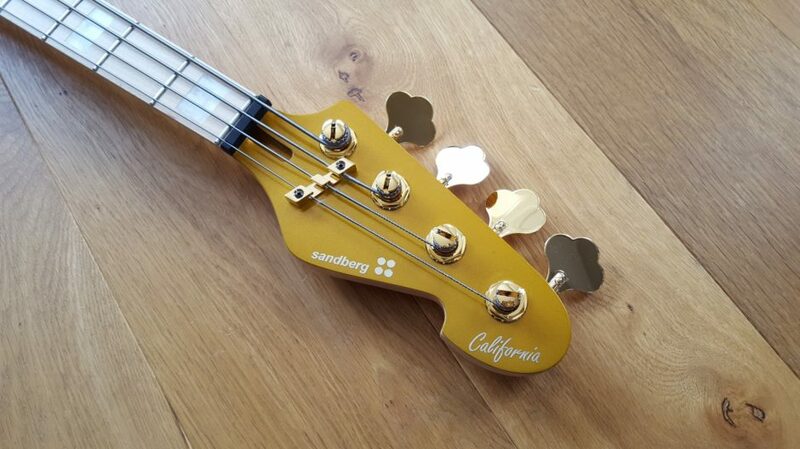 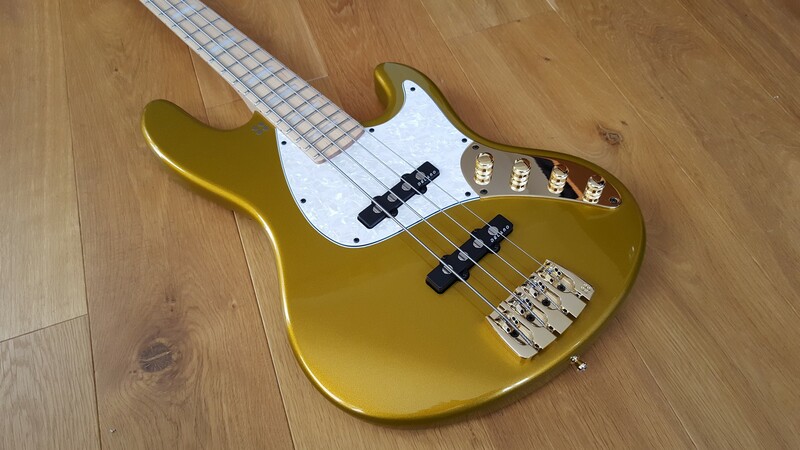 It’s Sandberg’s TT4 which is basically a modern designed Jazz bass, but has also been ordered with a very high specification and several extra cost upgrades, such as pearl block fretboard inlays and matching headstock. 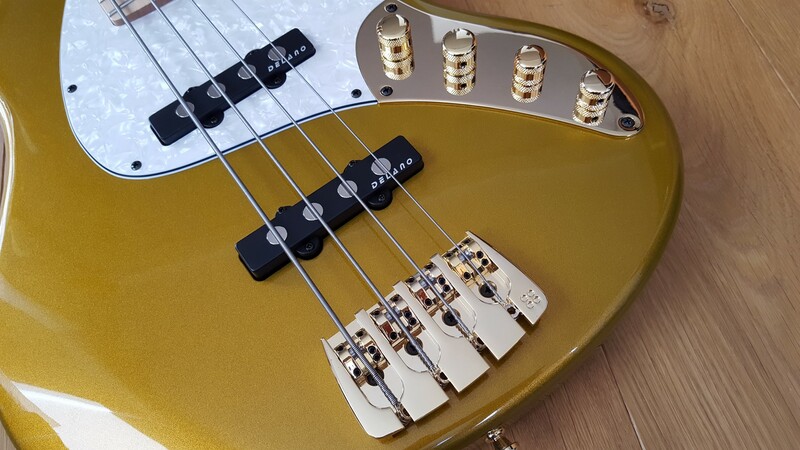 This is a very versatile bass and has Sandberg’s active 2 eq system (Which can also used in passive) It’s very easy to dial in the sound and tone you want without the hassle of trying to blend 3 eq’s – definitely a plus for gigging bass players. 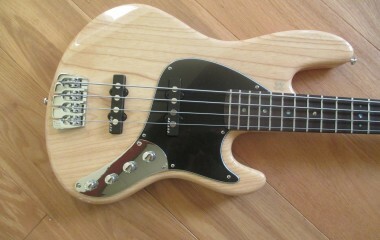 Complete with a Sandberg gig bag and tools.